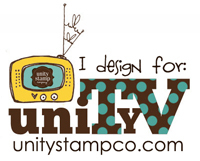 Danielle Daws: Young Crafters Unite Blog Hop: Masculine Cards! Hello! Welcome to my stop on the Young Crafters Unite Blog Hop: Masculine Cards! If you're following the hop, you should have come from Alanna Nelson's beautiful blog. If you've just joined in, feel free to keep hopping from here, or head back to the start on the YCU blog. A wonderful friend of mine recently loaned me her Silhouette SD machine and I've been having a blast learning all about welding letters together to form sentiments to cut. And it occurred to me that this kind of sentiment would be perfect on a masculine card. I black heat embossed the pattern on the lower half of the card, and the sentiment is coated in Crystal Effects. I'm really happy with how it turned out! 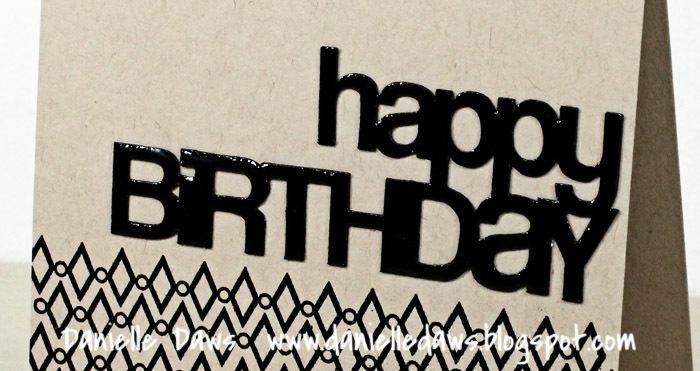 You can download the "happy birthday" studio file I created for this card HERE. I hope someone finds it of use! Thanks for stopping by, and make sure you comment along the hop. 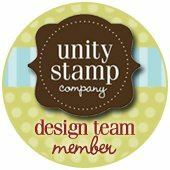 There are great prizes from Simon Says Stamp and Paper Smooches to be won! Next, you're off to visit Isha! Super cool card!!!!! I love the shininess of the sentiment! Lovely card. Really like the background pattern. Ohh this is great Danielle. I would love to use the sentiment you created - just need a Silhouette now, lol! i really LOVE your card!! it's so bold! makes me want to get a silhouette! ha ha! Love that shiny sentiment you've cut out, and the embossed pattern at the bottom is great. Thanks for sharing! Great card... love the pattern and the touch of glossiness. If I were a judge I would surely pick this striking card as a winner! Wow, what a way to make a statement. Great masculine card. Oh. Wow. You rock the Silhouette SD - Crystal effects? You are a genius. Love this card! Your Crystal Effects and Embossing are wonderful! This is a stunning card! love that pattern. it looks like patent leather! Very cool design, I like the shiney black. Great card! Very elegant looking. Thanks! 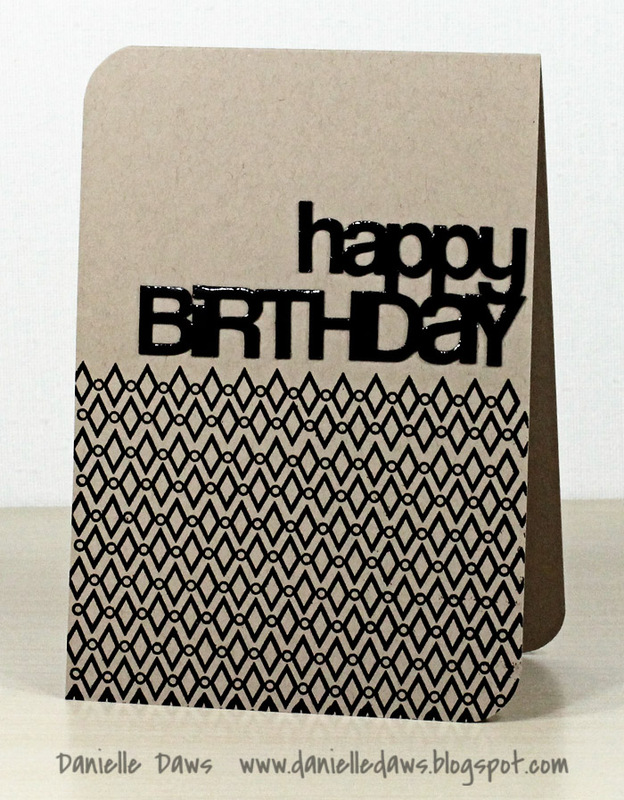 Love the simplicity of this, perfect guy's birthday card. A friend said she'd let me play with her silhouette machine too... hum, might use your card as a jumping off point. I need to start embossing...I think I am seriously missing out! Great embossing! Love the neutral colors and fun pattern! wow. this is the perfect masculine card. i love black on kraft...the geometric retro shape and thick font are manly. great card! amazing card! i love the black and tan. I think i have to add that PTI stamp set to my wishlist! This is a great card!! Kraft and black is such a striking combination! The gloss is amazing - it's really striking! I like your graphic masculine card! Oh, that is really cool! Great design for a super guy card. I love it! Wonderful design ~ CAS! I love the contrast of the shiny embossed black with the kraft.